Have you ever thought Easter eggs from our favourite chocolate bars are a bit of a cop out because the eggs are all the same? 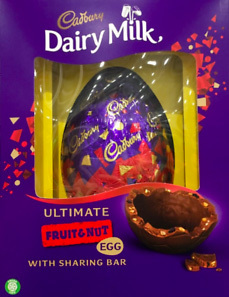 Yes of course we get a packet of our favourite sweets or bars, but the festive egg itself is always just plain ol’ chocolate. 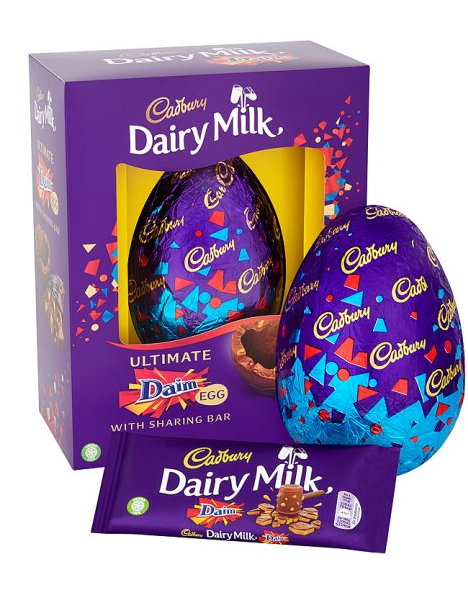 Well Cadbury’s has taken note and in response to this, they’ve created a giant Daim Easter egg which is actually made with Daim pieces in the shell. I can imagine a dual layer caramel and biscuit egg might be pretty difficult to create though? Yet we’ve made it to the moon so I wouldn’t rule out the next generation of Easter eggs. 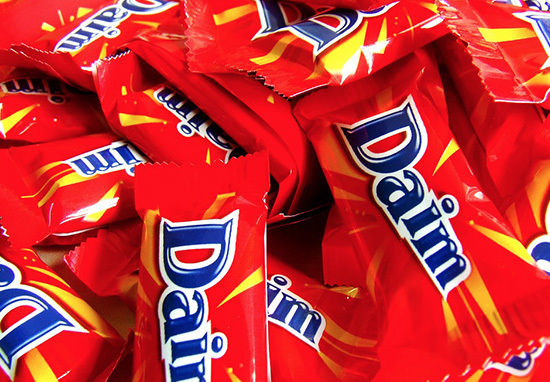 The Daim Easter eggs are currently available for £10 from Asda, and they’re being called the ‘Daim Inclusion Easter Egg’. Time for an egg-olution if you ask me.